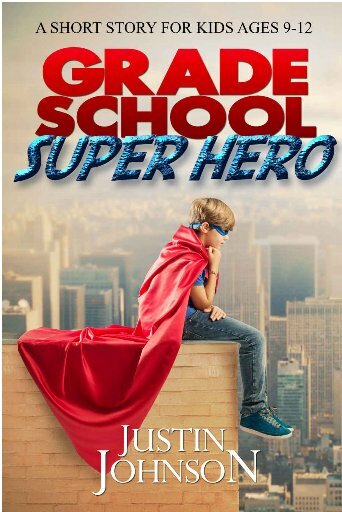 Grade School Super Hero, etc. etc. What is the real title of this book? It promises to be all things to all readers. I would classify it as an introductory chapter book for beginning readers, mostly in the seven to nine age group. The fact that it consists of just twenty pages will turn off most middle grade readers. The plot centers on little Johnny Williams or JW. One day he accidentally discovers that he has the power to jump high over a baseman. His teachers and schoolmates encourage him to do it again. The next time as he tries to jump, Johnny winds up on the roof. A few days later when an asteroid is hurling toward earth, JW decides he must push his powers to the limit and attempt to fly up into outer space in an effort to divert its path and save the planet from disaster. Will Johnny be successful? How does it feel to have superpowers? The author offers free copies of his other short stories as an added incentive to read this book. Children who enjoy superhero or adventure stories will enjoy this story. Don’t know of many kids who don’t love superheroes. What kid would not want to wake up to having super powers?